Is Brexit to blame for a rise in the cost of construction materials like timber? Is it churlish to say that the era of low inflation is about to end? Perhaps, as the cost of building materials may have an effect. According to an investigation by the Mail on Sunday, it is claimed that Brexit could be having an effect on the price of timber. Since June 2016’s referendum results, the Pound has become the world’s second worst performing currency. The weakness of Sterling has seen considerable rises in the cost of building materials. Up to 35%. 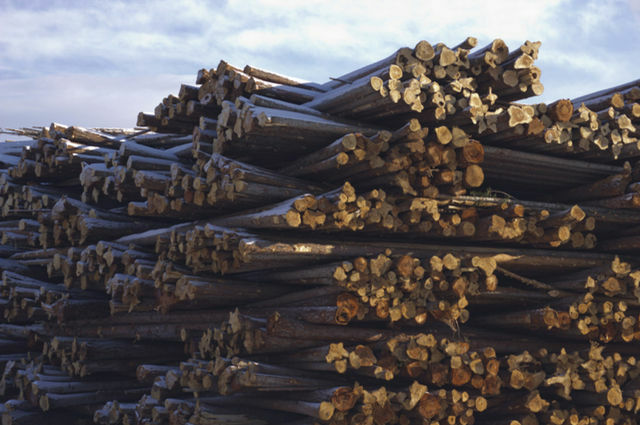 Timber has seen an average rise of 10% with the price of aggregates going up by 5%. Some loft insulation material has risen in price by 12%. The cost of MDF and chipboard, up by 7%. Wickes, one of Britain’s leading timber merchants have had to raise prices, thanks to “the devaluation of sterling [which] is producing industry-wide inflation”. So, could the weak Pound mean tough times ahead for DIY enthusiasts as well as our business? Timber merchants aren’t the only ones affected by the post-referendum fallout. Ibstock, one of Britain’s leading brick makers, are having to increase prices within single digits. Driving their proposed price rise is the cost of firing the kilns. The timing of this couldn’t be much worse. Rising material prices wouldn’t only penalise DIY enthusiasts. It could affect new build projects and make renovation works a more attractive option. With Britain in the midst of a social housing crisis, this could inhibit the Housing Associations’ and Local Authorities’ abilities to build new houses. In the short to medium term, the search for alternative exporters could be tricky, given how much Scandinavian timber is exported into the UK. We await further developments with great interests, though the ride may be bumpy.